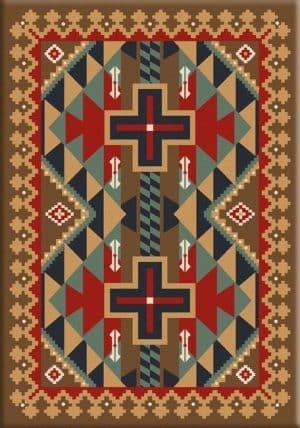 Finger Weave area rug is a part of the New Echota collection by American Dakota. 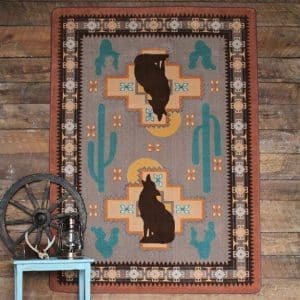 This rug collection is based in Cherokee history. 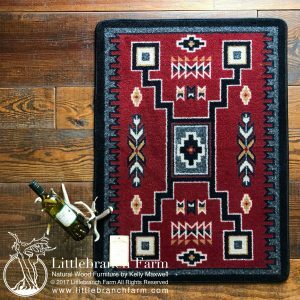 Sales benefit the New Echota historic site in Calhoun, Ga. More styles from this collection are available. The design for Finger Weave area rug will remind you of traditional sashes and garters. 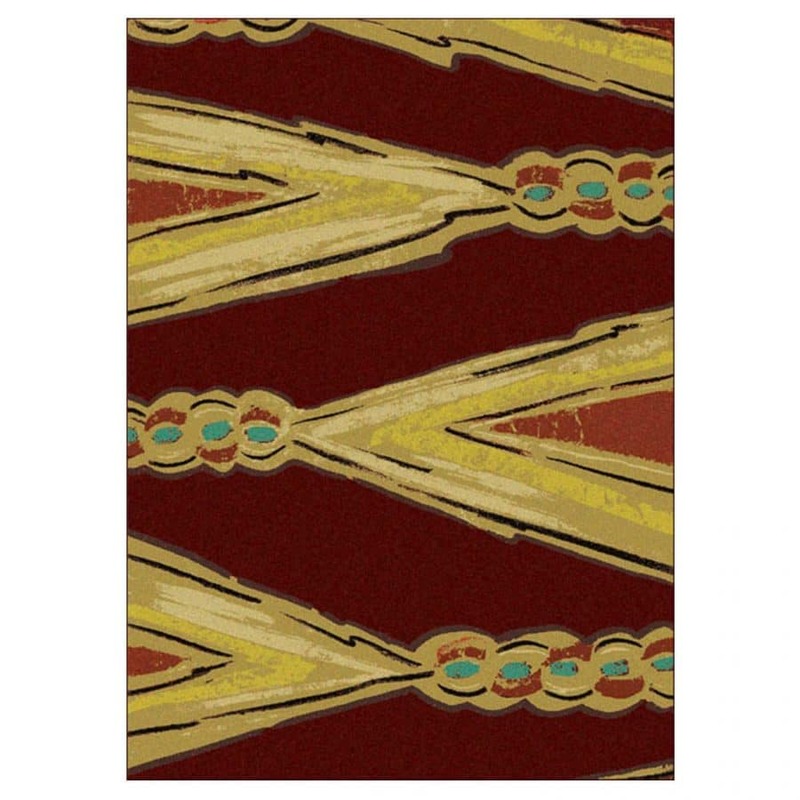 With a print that celebrates arts and crafts, his rug is ideal for a creative family. 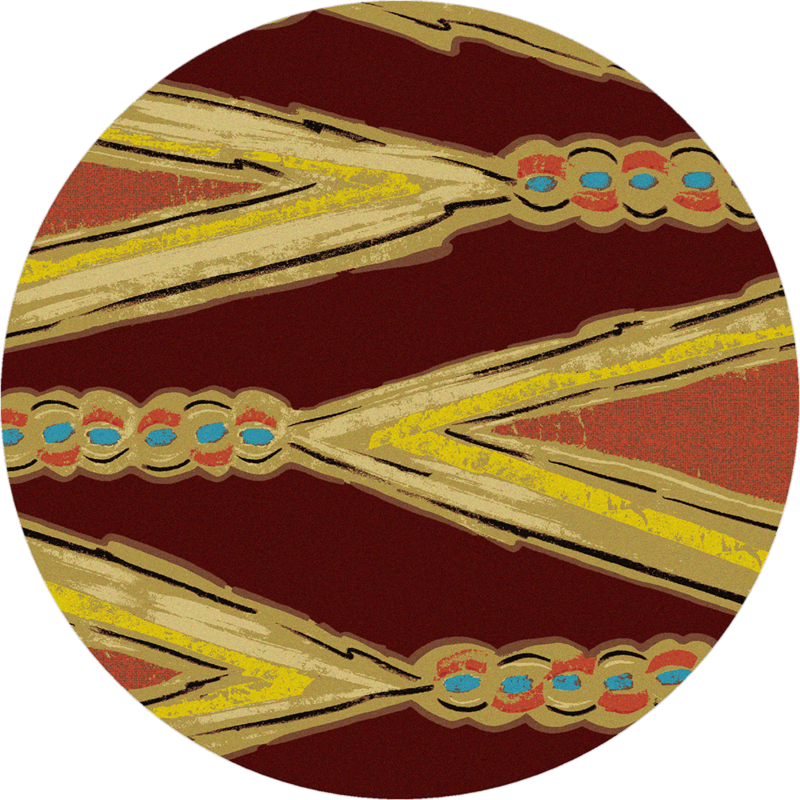 Red and yellow will also set an energetic tone. 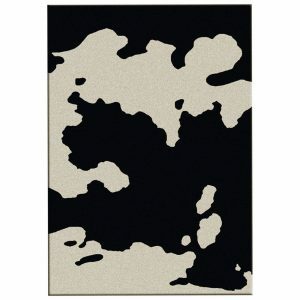 Since the rugs have soil-lifting properties, you don’t have to worry about spills. Most stains will also come out with warm water.